In 2017, Israel's population was an estimated approximately 87 lakh people. In 2017 population of Delhi is estimated to be over 1.9 crores. Population of National Capital Region is estimated to be over 2.7 crores as of January, 2017. GDP per Capita of Israel is US$37,262, 24th rank. India's GDP per capita is US$ 1,723 , 142 rank. World average is US$10,038. It has the second-largest number of startup companies in the world after the United States,and the third-largest number of NASDAQ-listed companies after the U.S. and China, Israel was also ranked 4th in the world by share of people in high-skilled employment. Leading exports include machinery and equipment, software, cut diamonds, agricultural products, chemicals, and textiles and apparel; in 2016, Israeli exports reached $51.61 billion. Israel has an impressive record for creating profit driven technologies making the country a top choice for many business leaders and high technology industry giants. Intel and Microsoft built their first overseas research and development facilities in Israel, and other high-tech multi-national corporations, such as IBM, Google, Apple, HP, Cisco Systems, Facebook and Motorola have opened R&D centres in the country. Israel's development of cutting-edge technologies in software, communications and the life sciences have evoked comparisons with Silicon Va world average . Israel ranks 10th in the Bloomberg Innovation Index, and is 2nd in the world in expenditure on research and development as a percentage of GDP. Israel boasts 140 scientists, technicians, and engineers per 10,000 employees, the highest number in the world (in comparison, the same is 85 for the U.S.). Israel has produced six Nobel Prize-winning scientists since 2004 and has been frequently ranked as one of the countries with the highest ratios of scientific papers per capita in the world. Israel has led the world in stem-cell research papers per capita since 2000. Israeli universities are ranked among the top 50 world universities in computer science (Technion and Tel Aviv University), mathematics (Hebrew University of Jerusalem) and chemistry (Weizmann Institute of Science). The ongoing shortage of water in the country has spurred innovation in water conservation techniques, and a substantial agricultural modernization, drip irrigation, was invented in Israel. Israel is also at the technological forefront of desalination and water recycling. Israel is set to become a net exporter of water in the coming years.Israel has embraced solar energy; its engineers are on the cutting edge of solar energy technology and its solar companies work on projects around the world. Over 90% of Israeli homes use solar energy for hot water, the highest per capita in the world. Israel's military relies heavily on high-tech weapons systems designed and manufactured in Israel as well as some foreign imports. 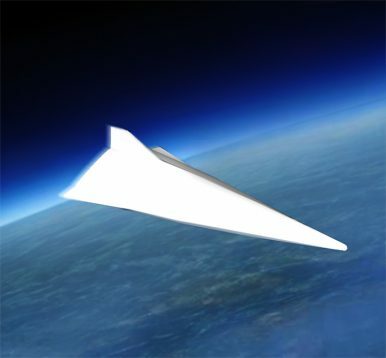 The Arrow missile is one of the world's few operational anti-ballistic missile systems. The Python air-to-air missile series is often considered one of the most crucial weapons in its military history. Israel's Spike missile is one of the most widely exported ATGMs in the world. Israel's Iron Dome anti-missile air defense system gained worldwide acclaim after intercepting hundreds of Qassam, 122 mm Grad and Fajr-5 artillery rockets fired by Palestinian militants from the Gaza Strip. Since the Yom Kippur War, Israel has developed a network of reconnaissance satellites. The success of the Ofeq program has made Israel one of seven countries capable of launching such satellites.Israel ranked 7th globally for arms exports in 2016. The majority of Israel's arms exports are unreported for security reasons. Israel's exports are also similar to India's . The top exports of Israel are gems, electronic equipment, pharmaceuticals, machinary, medical technical equipment, other chemical goods, aircraft and spacecrafts, plastics, fertilizers and organic chemicals. In recent years, India has become one of the biggest refined product exporters in Asia with petroleum accounting for around 20 percent of total exports. The country also exports: engineering goods (19 percent of the total shipments), chemical and pharmaceutical products (14 percent), gems and jewellery (14 percent), agricultural and allied products (10 percent) and textiles and clothing (10 percent). However, there are lot of similarities with India. Like us Israel has fought major wars in 48, 67 and 73. 82 Bekka Valley, July 2006 Second Lebanon War , The 2008–09 Gaza War in recent times. Continuous trouble with Hezbollah and Hamas exists. One wonders what is it that takes Israel with less than half the population of Delhi has taken them far above us. The top IT companies of USA has also opened their offices in India and employs substantial people. We are acknowledged to be software giant. Nowadays there is lot of talk about start ups, innovations etc. By sheer number if we select properly from these numbers we can have world class people, process and technology. I was once told by the cyber czar of India that private sector, all the big behemoths, only talk big, interested in orders, do not carry out any research, use available applications from the market whereas our requirement is indigenous technology. By their performance it seems to be true. Lets have a look at the defence electronics and cyber space. If our claims are correct, we have extremely capable people in our armed forces, DRDO, academia and industry in a field like cyber space. We are struggling due to lack of indigenous technology. The Government had announced availability of funds to the tune of 900 crores, fund is not an issue. Then why cannot we go ahead? In the war in Afghanistan, Pakistan plays both sides. On the one hand, the country aids the United States in its fight against the Taliban. Pakistan offers NATO forces access to the port of Karachi to transit supplies to their bases in landlocked Afghanistan and tacitly allows the CIA to conduct drone strikes against militant hideouts in the semi-autonomous Federally Administered Tribal Areas. Yet on the other hand, Pakistan has nurtured the Taliban for more than 20 years. Pakistan's government in Islamabad supports the group as a means to many ends, including stabilizing Afghanistan, opening trade and energy routes to Central Asia, formalizing the Durand Line, and establishing a government in Kabul hostile to archrival India. By assisting both the United States and the Taliban throughout their nearly 16-year conflict, Pakistan has managed to benefit from an alliance with Washington, collecting over $33 billion in aid since 2002, while also pursuing its security objectives. For the first time since 1981, when China deployed the DF-5 intercontinental ballistic missile, a new state has gained the capability to target the United States with a nuclear weapon. On July 4 and again on July 28, North Korea launched the Hwasong-14—a two-stage, liquid-fueled ballistic missile that demonstrated the capability to reach the continental United States. The US intelligence community assesses that North Korea has nuclear warheads compact and light enough to fit on the Hwasong-14 and that North Korea will be able to deploy a nuclear-armed intercontinental ballistic missile within one or two years. North Korea demonstrated another new capability on September 3, testing what it claimed was a thermonuclear weapon. While the exact configuration of this “advanced nuclear device” remains unknown, the device’s estimated yield is 140 kilotons, so the test represents a quantum leap in the destructive potential of North Korea’s nuclear arsenal. The world woke up on 15 Sep 17 with yet another launch of a missile by North Korea. A missile this time flew over the Northern Japanese Island of Hokkaido and landed in the Pacific[i]. It triggered emergency alerts in Japan. The alerts warned citizens to seek shelter. At the end of August 2017 too, an Intermediate Range Ballistic Missile launched by North Korea crashed into the sea more than 1000 kilometers East of Hokkaido[ii]. 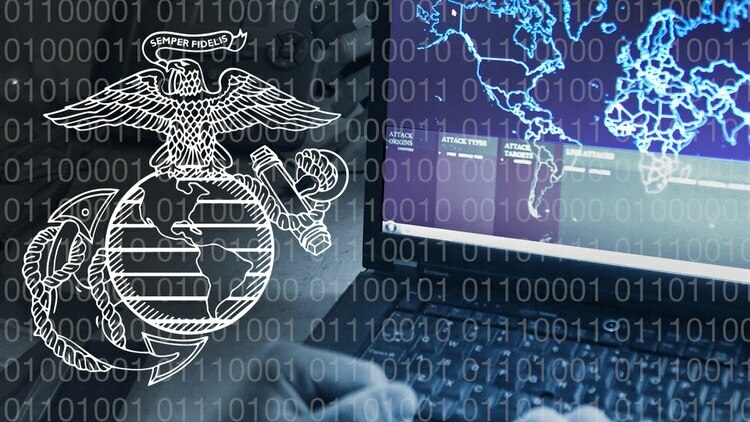 As the Marine Corps’ Marine Expeditionary Forces Information Group – MEF Information Group or MIG, is coming online, the service’s chief cyber operations outfit will be offering education to help leaders understand how cyber can be employed into traditional operations. 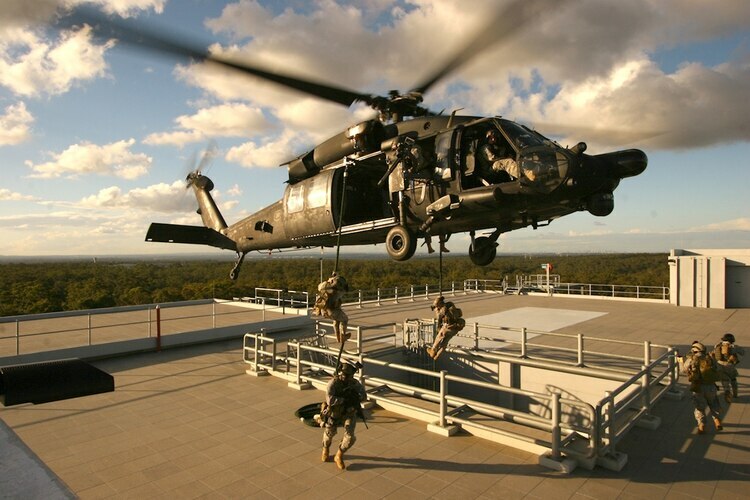 Special operations soldiers fast-rope from an MH-60 to an objective. Special operations leaders are now seeking soldiers who can excel on the battlefield as well as in the cyber domain. 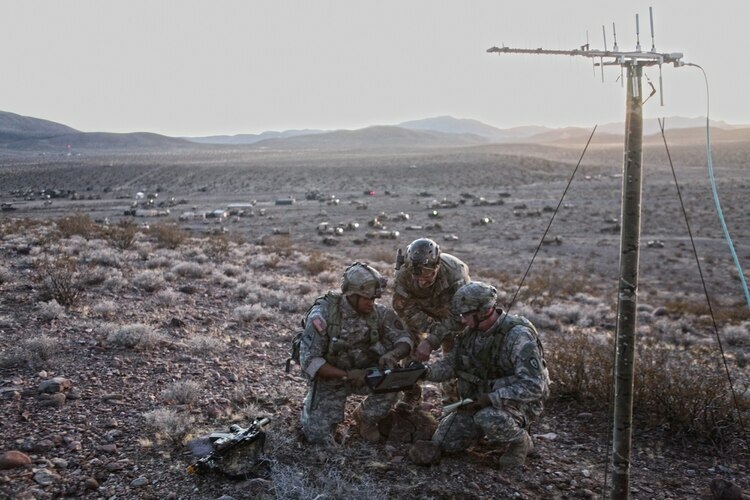 Already in high demand for their rare and elite skills, special operations soldiers need to add one more capability to their toolbox: cyber. Automation has long been a hot button topic for the cybersecurity industry, promising automatic patching and a move away from the legacy ‘fingerprinting' style of defence. Oracle CTO Larry Ellison joined the chorus today at OpenWorld, announcing the "highly-automated" Oracle Management and Security Cloud (OMSC). The open societies of the US and free and democratic nations are being subverted by active measures and propaganda to undermine political processes and sow cultural and political divisions to allow closed societies of revisionist and revolutionary powers to dominate in international affairs. The way to counter this effort is through a grass roots resistance movement that consists of an educated, activist, energetic, and empowered youth who seek to be part of something larger than themselves and validate their self-worth as disruptors of the status quo. However, the closed societies are challenging their ability to disrupt because active measures and propaganda have taken away their initiative. 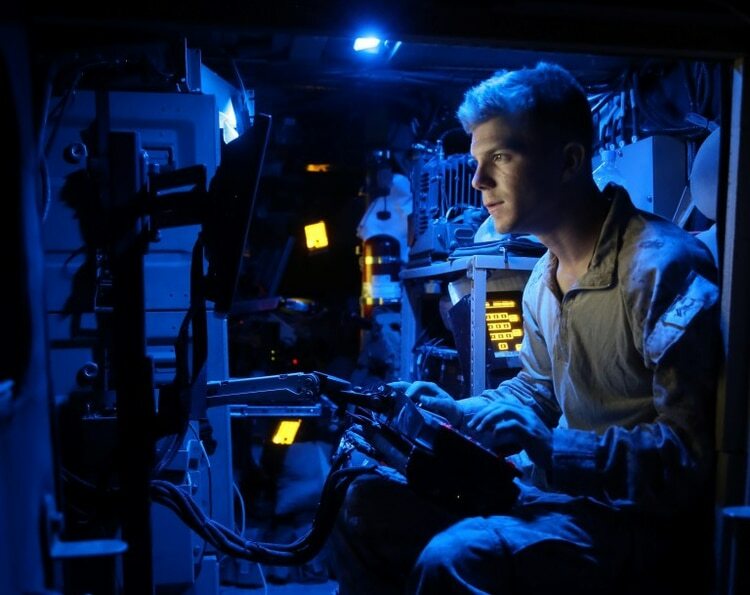 The US Air Force has developed a new “Mini Crypto” chip that will allow hardware like unmanned aerial vehicles and explosive ordinance disposal robots to communicate and exchange data securely. The chip is a self-contained encryption engine that is capable of creating a unique, session-based key that the receiving party needs to use to decrypt the message or data. The process meets the NSA’s stringent security standards, making it difficult and resource-intensive for other entities to access the information being relayed. One of the more complicated aspects of war is how military commanders and civilian policymakers arrive at decisions. At each level of warfare, from the tactical to the strategic, and including the cross-cutting institutional level of war, speed and consequences in decisions vary. Thinking about the speed of decisions in terms of planets, revolving in an orbit at various distances from the center offers a method to conceptualize the various speeds. Each orbit accounts for one decision at the various levels of war. 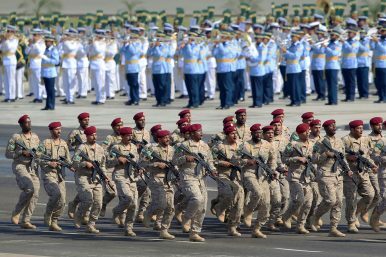 Moreover, the decision space at each of the levels of war occurs in the context of the security environment.